In May, just as we were preparing mentally for a wonderful world filled with nothing but joy that could possibly include a refreshed Essential Phone with a proper camera and display, a report arrived suggesting that Andy Rubin and Co. were setting all follow-up phone desires aside to work on their always-going-to-be-a-tough-sell smart speaker hub thingy. Today, a new report says that things have changed and we’re doing the opposite of that. 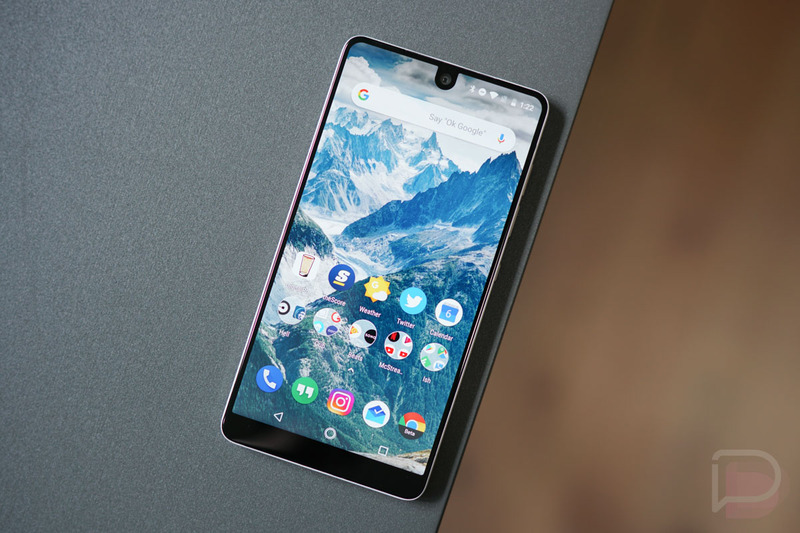 That’s right, an Essential Phone 2 might be happening. Let’s not get too excited, though. According to Bloomberg, Essential has set aside its smart speaker plans and is instead working on a new type of phone. This phone “isn’t like a standard smartphone,” and will instead feature a small screen that you interact with via voice. The phone is an AI phone (of course) that can respond to emails, book appointments, and send text messages on its own. This new phone is said to be quite different than what we think of as a phone and could be used to complement your current phone rather than replace it. You know Google’s big Digital Wellbeing push? This phone, like Digital Wellbeing, wants you to step away more. Essential could show a prototype off as early as January at CES. Just curious, but does this sound interesting to any of you? I just want an Essential Phone 2 like I described here. Is that too much to ask?